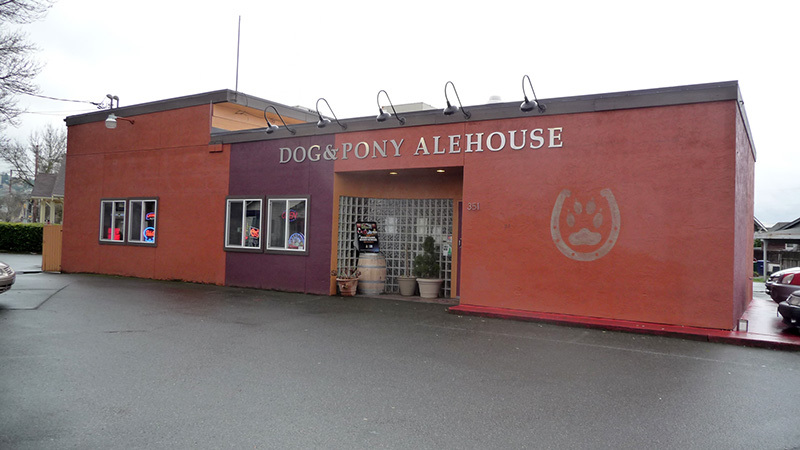 The Dog & Pony is an unexpected find in an industrial/residential neighborhood close to both the Kenworth and Boeing's large manufacturing plants in north Renton. The beer selection is very impressive - a large selection of IPAs and a wide-ranging selection of other beer styles - and all craft beers. Our bartender was quite knowledgeable about the beers. 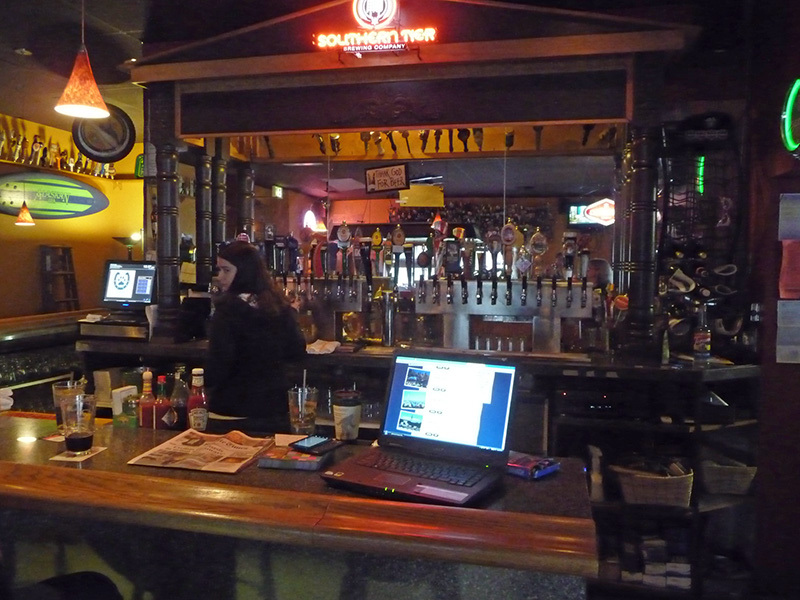 Overall, the atmosphere is low-key, local, beer-centric, and welcoming. The building has a bright orange and red stucco exterior, and is oriented diagonally in the parking lot. There is an attractive curved wall of glass bricks next to the entrance, and a fenced-in patio in the back. Inside are light wood floors, dark brown ceiling tiles, and more orange and yellow on the walls. 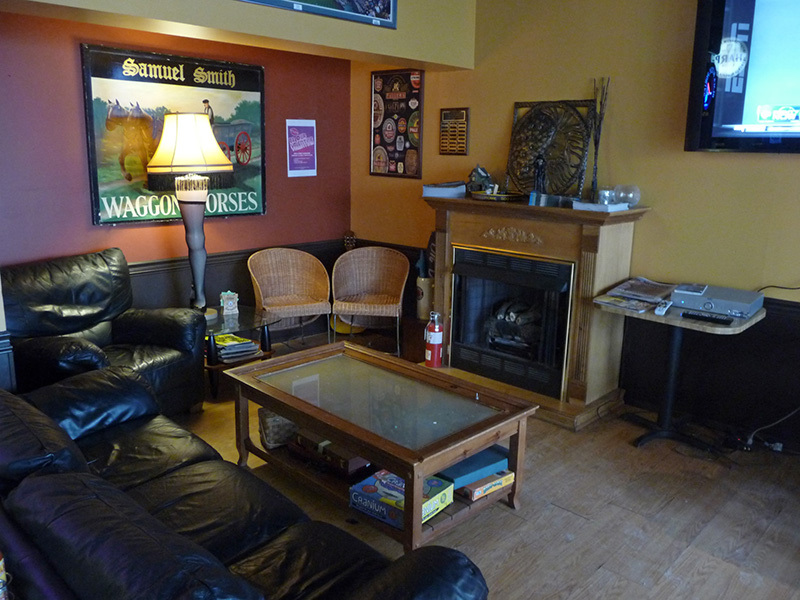 The first room you enter has assorted light wood tables (a few with tiled tops) and padded chairs, as well as a â€œliving roomâ€ set with a couch, side chair, coffee table, fireplace, and large flat screen TV in one corner. The next room is the bar area with three dark wooden booths by the windows, assorted tall tables with stools, and a pool table. 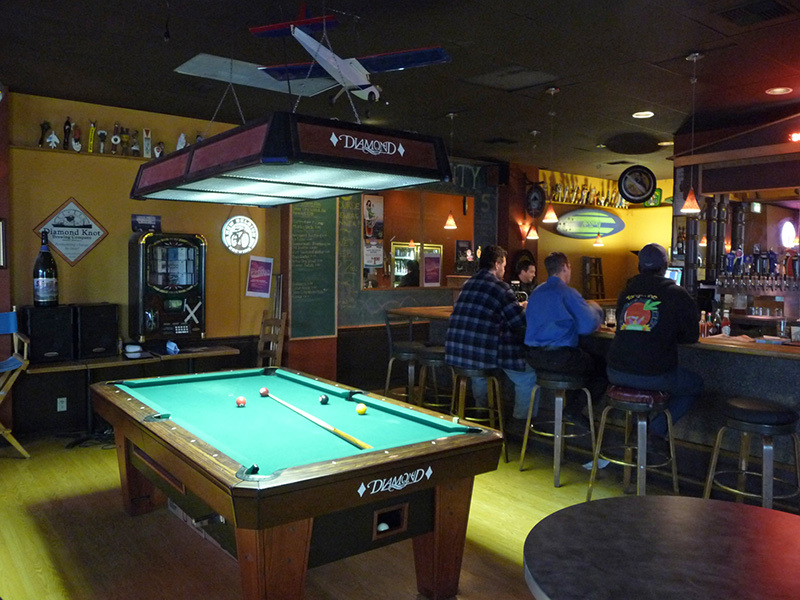 The fairly long L-shaped bar has stools along its two sides. There are several more TVs (with sound off), and music playing in the background. Decorations are beer related: a Samuel Smith pub sign, neon brewery signs, miscellaneous other brewery signs, and an enormous number of tap handles displayed on several racks around the walls. The food is a bit beyond pub standard, or at least attempts to be. The Philadelphia Chicken sandwich and side salads we tried were quite good but the Yellowfin tuna wrap was not inspiring. 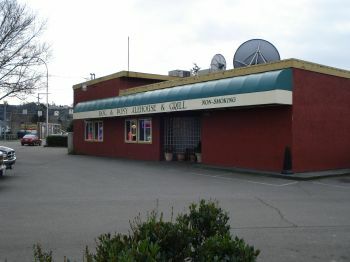 Set in a quasi-residential area of Renton, south of downtown Seattle on a corner, this non-descript little red building just happens to house one of the finest community pubs in the greater Northwest. - the menu is extensive and varies from normal pub faire (nachos, fries, burgers) to special like White Trash Platter or the Chicken Garlic Quesadilla or Tater Skins that warn "put your Lipitor to work; these are worth the battle." How about a catfish sandwich or bangers and mash or a SW Chicken Philly or a Karma Sandwich ("for those of you too cool to enjoy the flesh of another living creature. Snob.") and all with Sweet Potato Fries in you desire. Well, I desired...and Jay, the owner/cook obliged me by cooking them into submission on the outside, while remaining fresh & gooey on the inside. Then there was the pulled pork sandwich and, if I didn't know better, I could swear I was back in Kauai, Hawaii eating BBQ Kalua sandwiches; not hard to imagine when you read that Jay was a one-time brewmeister in that most remote of South Pacific islands. And then come the beers. About 30+ on tap, from yellow to black, mild to ultra-hoppy, sweet to bitter. I had a pint of The Abyss from Deschutes Brewery in Bend, Oregon - a seasonal and tough to find when the cold, gray winter settles in and then, since neither wife Persimmon nor I wanted to stop this adventure, I ventured into a delictable little piece of lovely called Lips of Faith from New Belgium Brewing. I couldn't take my lips off the glass...and believe me, Persimmon tried hard but no! For a half hour, it was me and my new lover and I didn't care who watched! Dark with a tinge of red, a rich, full, caramel head and heavy malt and molasses nose that bespoke of things to come. What a beer!!! "We pride ourselves in our day to day selection of beers. We and others feel we have the best draft selection in the state of Washington of nor the Northwest. 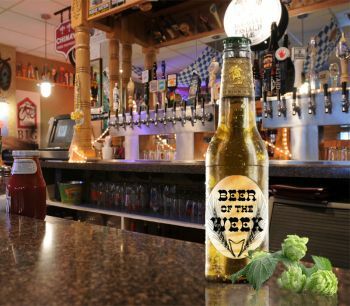 This is why we don't and won't carry any of the mass-brewed yellow beers (Bud, Miller, Coors) and their associates (Redhook, Widmer...) All fine beers - just not fine enough for our taps." We had intended to stop by another pub on this day but found the afternoon gone all too quickly. This pub is no dog and pony show. It is a first-class, AAA, 99 & 44/100's per cent pure, prime-time award show. If you're in town, find this "channel" and settle in for a long, warm, fuzzy evening. This was an awesome little haunt that a friend took me to. Games, beers and great football on the TV the wife even loved the place. They have some great beers on tap with both local flavor and some off the wall from far of lands. The food was good and very pub faire. I had a great time here this is one of the best beer bars I have ever found. They had a feeling of being at a local club house. The seating in regular couches and chairs and the football going this was just perfect. This is not a pop in a run out type place this is a sit and have a great time place. Golly gee wizikerns, I love this place. a great selection of taps - 20+ all the time. great diversity of choices. when I want stout or dark ale - they got it; when I want Pale Ale - they got that. lots of local/washington state beers are represented. the atmosphere is great (by my standards). nice quiet place: although the two guys playing scrabble in the corner were making some noise. low keyed music in the background. TV on, but low volume. Food is good. Mainly burgers and such. really enjoyed the guest nite - have a visit from a local brewery/brewpub. they need to fix their URL - or get a website... but other than that - it's a pretty good place for a pint or two - if you're in Renton.